If you're looking to buy a new luxury SUV in Boston, MA, head to Herb Chambers INFINITI of Boston to shop our new lineup of INFINITI SUVs. 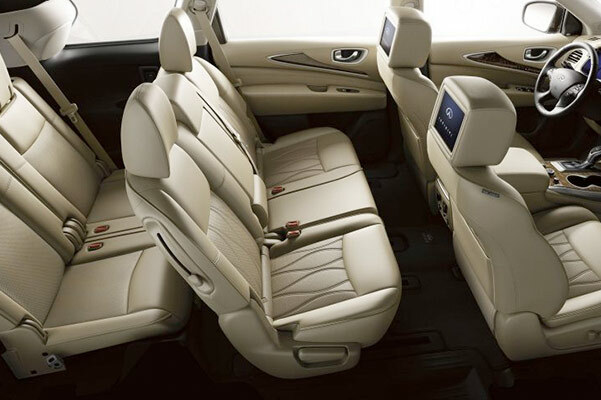 From their refined interiors to their under-the-hood capabilities, our new INFINITI SUVs have just what you need. 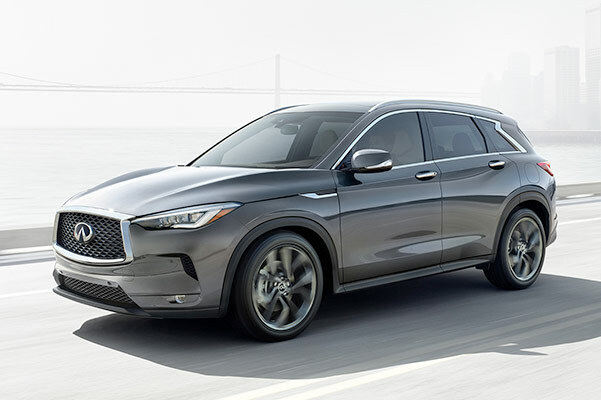 Lease a 2019 INFINITI QX50, finance a new QX60 or explore the SUV lineup further at our INFINITI dealership in Boston, MA. Take on your daily commutes and weekend adventures with the 2019 INFINITI QX50. This new luxury SUV leads the way with a 2.0-liter Variable Compression Turbo engine, the world's first publicly available variable compression ratio engine. Cruise along the Mass Pike and beyond knowing that the new QX50 can return up to 31 highway mpg, and never hesitate to take along additional guests with up to 135.8 cubic feet of passenger volume at your disposal. Lease a new 2019 QX50! 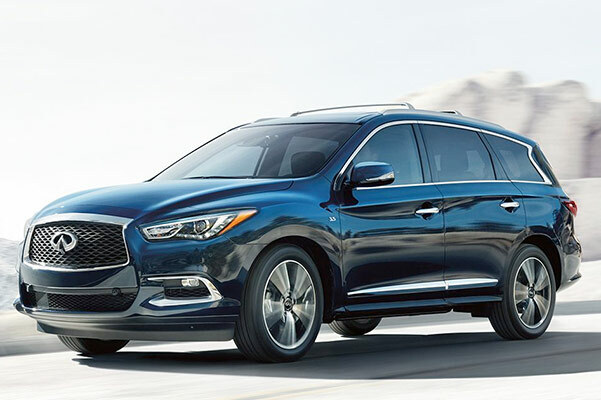 For premium luxury and refined handling, test-drive the new 2019 INFINITI QX60 in Boston, MA. Accelerate around town with a 295-horsepower engine, and never let New England snow keep you at bay when you opt for an available Intelligent All-Wheel Drive system. The new QX60 boasts third-row seating in addition to an available Motion Activated Liftgate that helps ease the strain of loading your groceries. 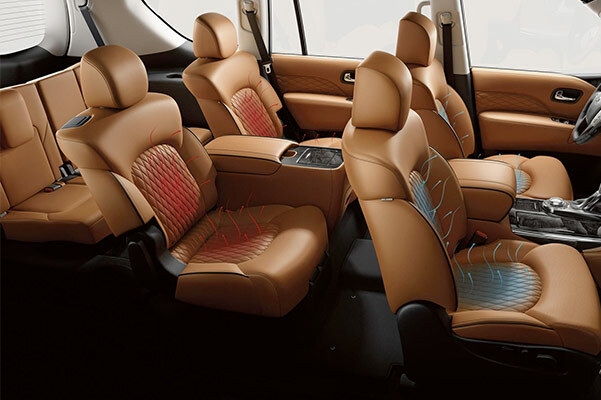 Lease the new 7-passenger 2019 INFINITI QX60 at our Boston INFINITI dealer. Confidently command Massachusetts' highways and byways with a new INFINITI QX80. 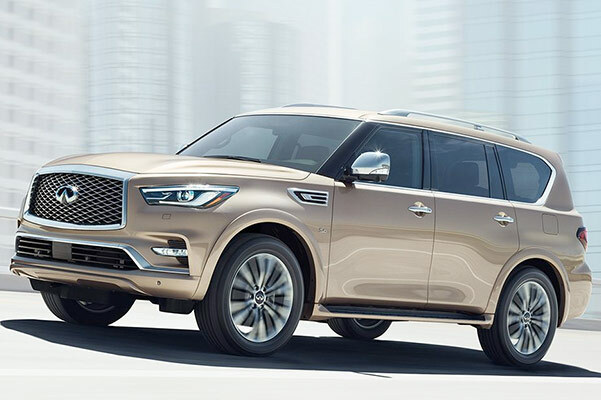 Turn heads as you round every corner with the new QX80 SUV's 22-inch forged aluminum wheels and satin chrome exterior trim, and treat your guests to unmatched comfort thanks to two-tone semi-aniline leather with Alcantara® accents. A 5.6-liter V8 engine comes standard and produces 400 horsepower, and peace of mind is never far away thanks to cutting-edge features like Blind Spot Warning and Blind Spot Intervention®. Explore your INFINITI QX80 financing options today! Shop the new INFINITI SUVs for sale in Boston, MA, and be sure to check out the new 2018 INFINITI QX30 luxury crossover. 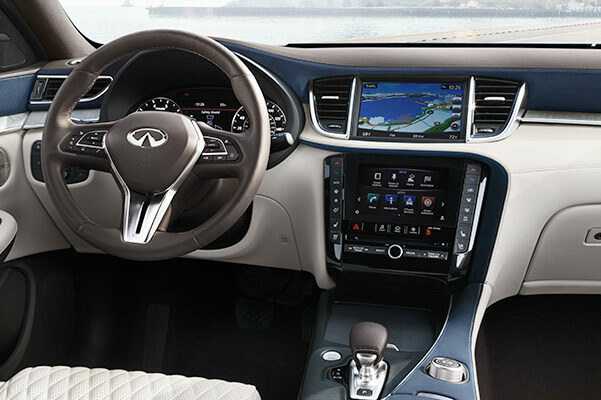 See which new INFINITI SUV is best for you when you stop by Herb Chambers INFINITI of Boston!